Men have discerning tastes when it comes to what goes on their feet. You won’t find our socks at the local department store. In fact, good luck finding these socks anywhere but here. Our selection is so vast, you’ll find the perfect pair to stick your tootsies into. Our socks don’t skirt the truth or spare the language. If you’re looking for some manly socks that will get you noticed, then check out our unique collection of hilarious socks. Captain Nemo probably has the same pair of Men’s Octopus Crew Socks onboard the Nautilus. He always was a sucker for punishment. Are you ready to get up close and personal with these denizens of the deep? 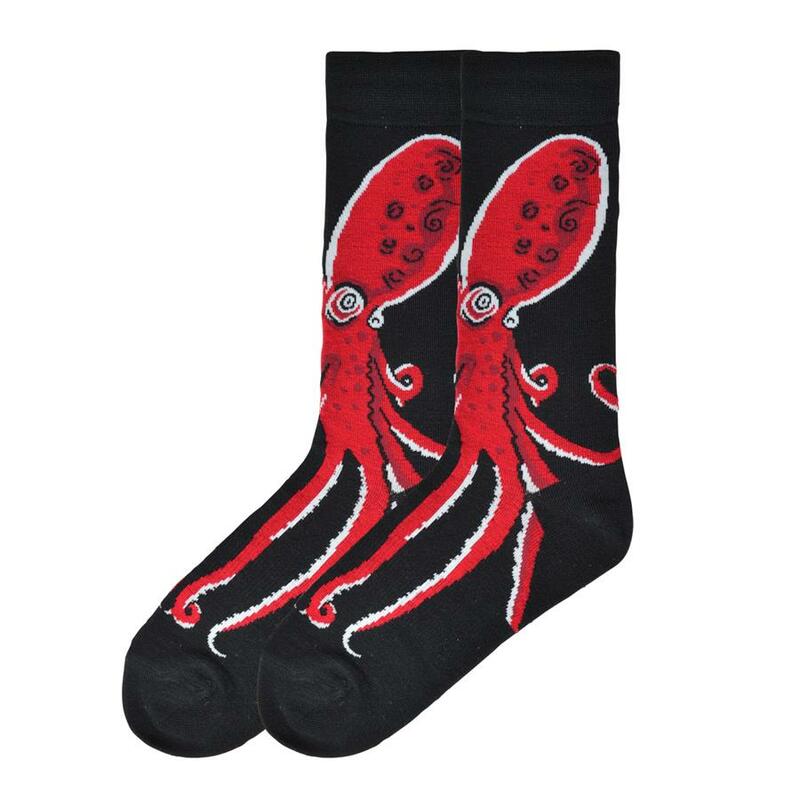 These not-so-classic crew socks feature a giant red octopus wrapped around your foot and ready for more. The crazy eyes make them look malevolent, but we all know they’re just big, ink-squirting puppy dogs with tentacles at heart. Or something. 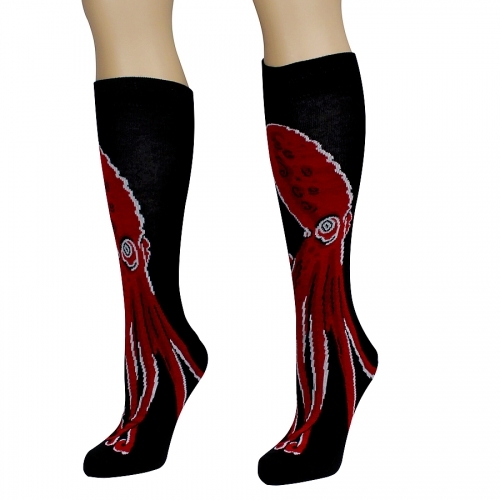 Octopus Crew Socks are made with a cozy 42% Rayon, 37% Acrylic, 19% Nylon and 2% Spandex blend.